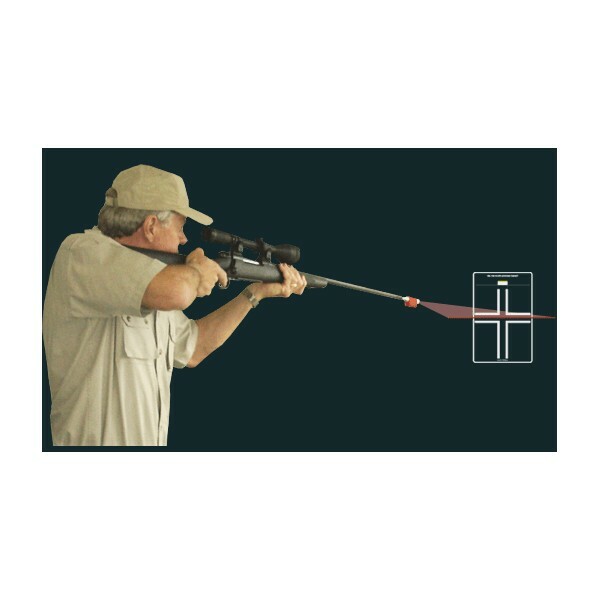 The SL-150 is ideal for the hunter and avid shooter who is looking for increased laser power and battery life. 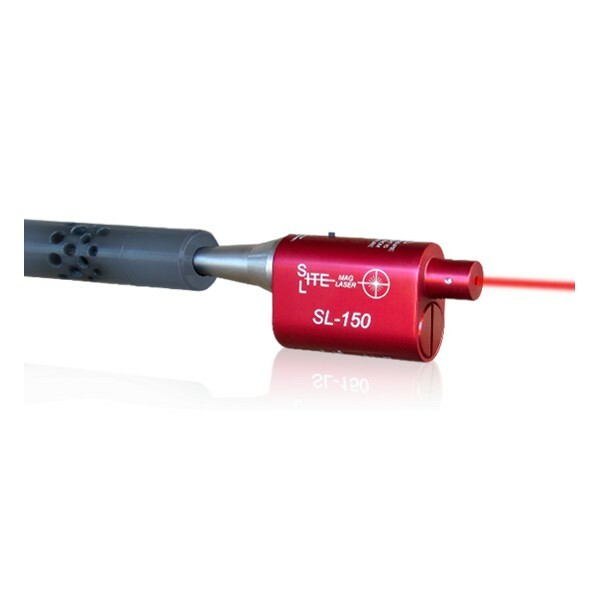 The SL-150 uses an ultra bright red laser and only one CR2 Lithium battery (included) that provides a battery life of up to 40 hours (continuous use). 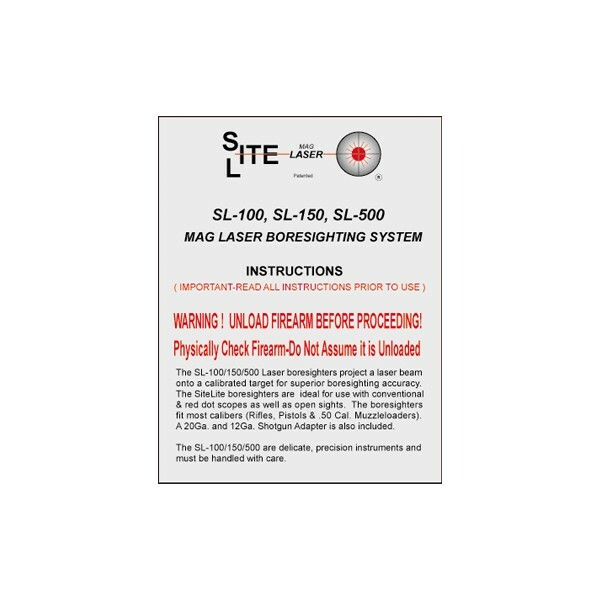 The SL-150 uses the latest laser technology to provide superior boresighting accuracy. Super-strong magnets in the arbor securely centers the laser within the muzzle for consistent accuracy. A unique system of adapters and O-rings fit .22 to 50 caliber handguns and rifles, 20 and 12 gauge shotguns, and muzzleloaders. 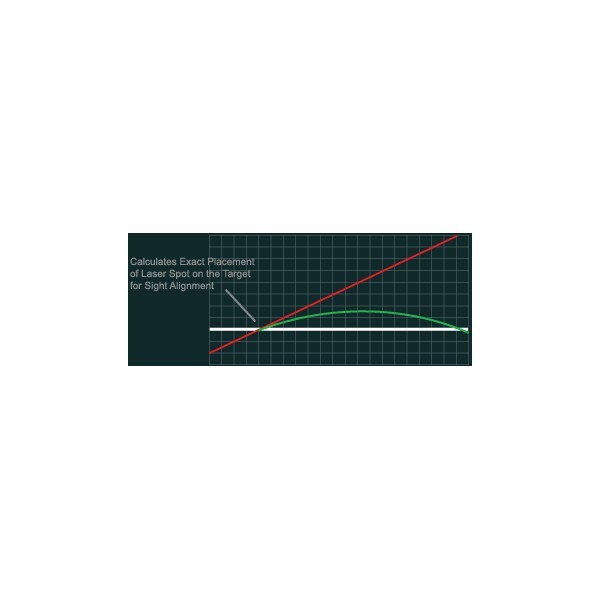 To boresight, level the scope with the included Scope Reticle Leveler and Leveling Target. 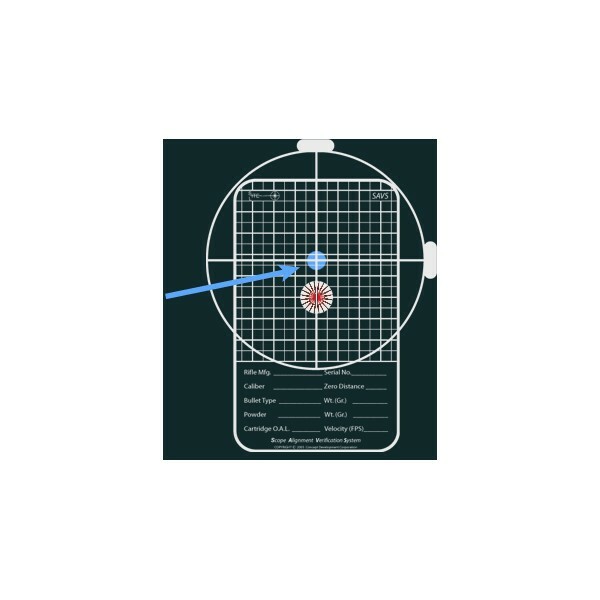 Then input your specific rifle and ammo data into the included Ballistic Targeting System software program to create a custom laser boresighting target. 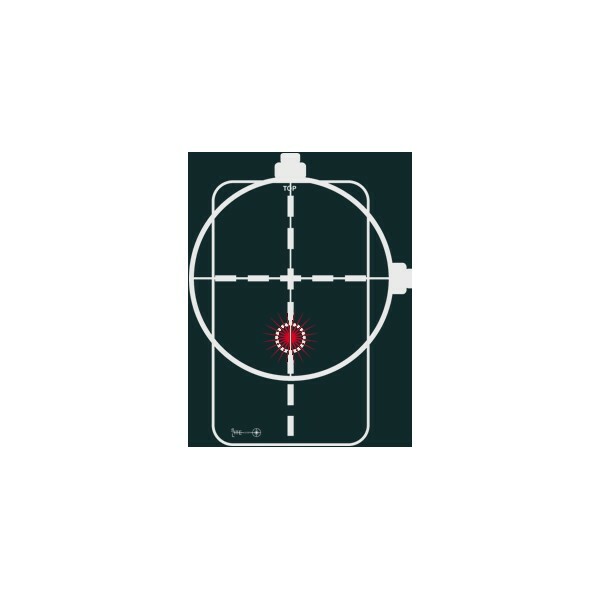 Next, place the laser spot on the target, align your scope with the target crosshairs and you’re boresighted for up to 300 yards.